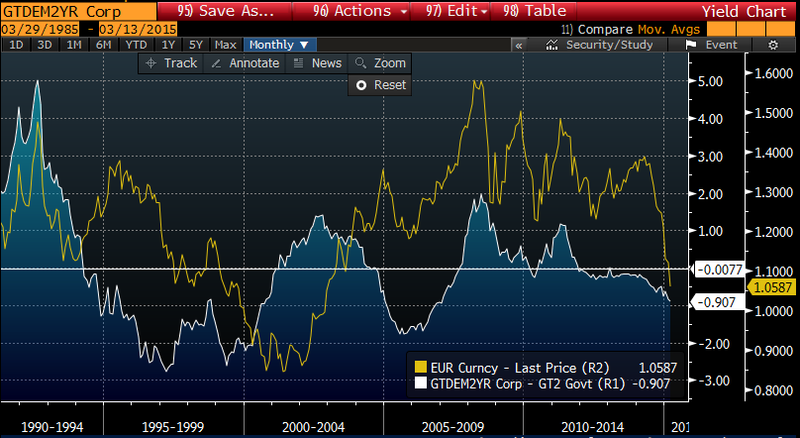 Following on from my “parity party” post, I have done a bit more thinking on euro. And maybe I am getting caught up in the hype. Here are a few charts maybe make the case for parity (or worse) a little tougher. Deviations around the zero line have been much greater in the 1990s and again in the mid-2000s. 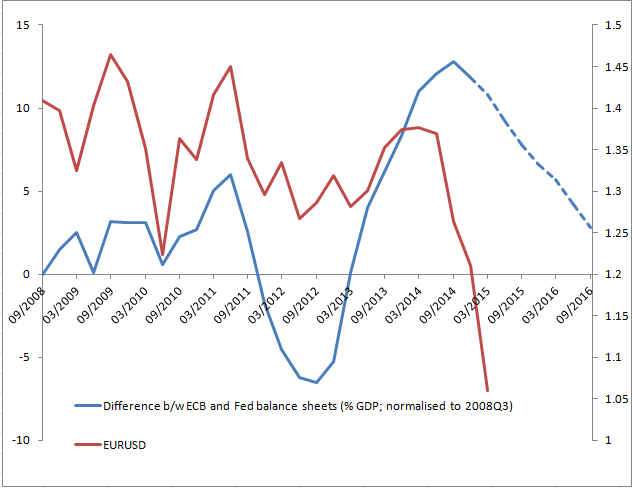 The magnitude of the move we have seen in the euro in the past six months looks outsized relative to the long-run rates differential. Of course, as we all know, exchange rates tend to overshoot, so these arguments don’t preclude the current momentum taking the euro to parity, they just suggest that maybe it is harder to justify. 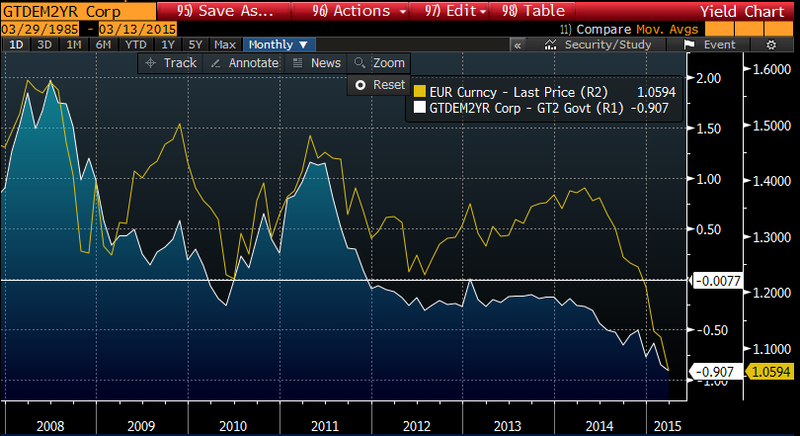 Euro: when should we book the parity party?